Traditionally children have little or no choice of their religion. The pressure to conform with a certain faith, that might exist at home, might be supported by a teacher who also demonstrates belonging to this faith. 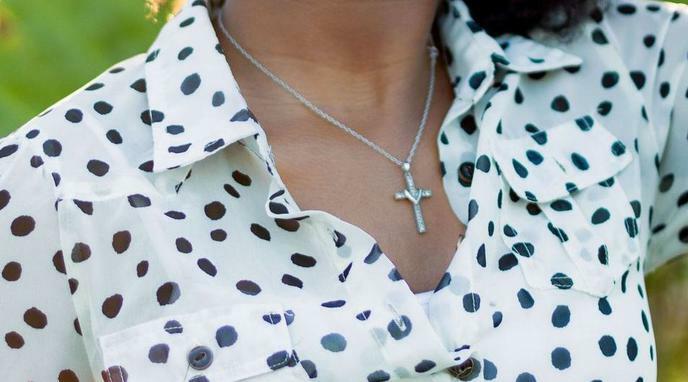 Teachers wearing symbols of their religious adherence, where it is the majority religion (and held by most students) would be off-putting to students who identify with minority religions or no religion, and would make those children uncomfortable. And if the other children are already making the minority religion/atheist children feel alienated, it would be devastating to see the teacher as a fellow of those students and even instill worries of favor / disfavor toward different students. Children have really no choice on anything until they can reason for themselves, that's what education is all about. They can still change their religion or lack thereof when they have enough knowledge to do so. actively promoting a religion, not from wardrobe choices.